Ghana Oil Company Limited (GOIL) has commissioned a 13.5 million litre bunkering facility at the Takoradi Port in the Western region. Speaking at the commissioning, the Board Chairman of GOIL, Professor William Asumani disclosed that the faculty, which cost 15 million dollars, was solely funded by GOIL from its internally generated funds. He said the move presents the opportunity for GOIL to be an important player in the bunkering business, and also generate enough revenue for the Takoradi port and the state in general. He added that GOIL has also began dispensing marine gas oil from its ultra modern 3.5 million litre bunkering facility at the Sekondi Naval base. The Chief Executive Officer of GOIL, Patrick Akorli, commended the contractors Murray and Roberts from South Africa, for delivering on time. He said the project will revitalize the Takoradi Port and reignite the socio -economic activity in the metropolis. He however said the project was not without challenges as it could not begin as scheduled. 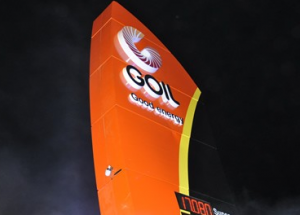 Mr. Akorli said the initiative is a testimony of GOIL’s believe that Ghanaians must be at the fore front of the oil and Gas activities in the country.